Originally Posted July, 2013. Revised. Last Monday's MMM Circle again provided some food for thought--and the impetus to move beyond thought--as a we compared notes on Mindfulness Practice. At several points, as the group grappled with the various issues that had come up during the week as we worked to put the Practice into practice, the limits of discursive thought and "reasoning" became more than obvious. At one point one of the Irregular Regulars, in her own inimitable style, jumped with both feet into the apparent contradiction between the dictum to always "be here now" and the need to take care of life's necessary activities such as planning, paying the bills, etc. "I mean we're all one, but we're not. We're the same, but we're each different, ya know?" I think Zen monks of old would have had a ball. As it was, the Circle spiraled onward and we turned to the more apparently "practical" concerns of Practice, comparing notes, exchanging tips, etc. Yet, as best I can sense it, the points that Michelle had raised echoed themes presented in some of the fundamental koans of Zen. It didn't surprise me, really. 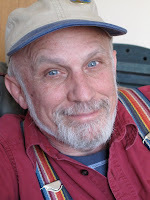 It's become more and more obvious to me: when there is a commitment to live life consciously, when there is a willingness to examine our experience of Life in depth rather than allowing the messages we have internalized from our upbringing to create our realities from beneath the level of our awareness, Life Itself can and will provide us with the necessary questions -- and the necessary answers! The fundamental paradoxes that Zen Koan study thrives on are inherent in the way conceptual thought operates. With some time and effort, we each come to the Gateless Gate of Zen. And, the good news is that we each have the ability enter into a deeper and richer reality than we've been conditioned to experience. You don't have to be a formal Zen student to approach and gain admission. You don't even have to be a Buddhist. It's like Jesus proclaimed, "Ask and you will receive. Knock and it will be opened." Life Itself is designed to blow your mind. If we really pay attention, Life Itself can transform question marks into exclamation points. All we have to do is to get out of our heads and into our hearts. How else can we perceive the absolute Sacredness of our every day experience in the midst of a sunny summer day? 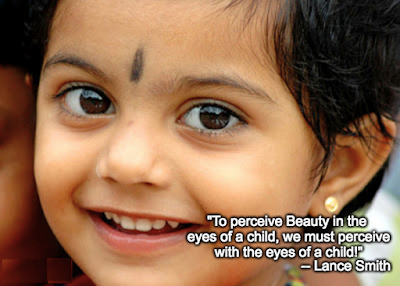 To perceive Beauty in the eyes of a child, we must perceive with the eyes of a child! The promise of Mindfulness Practice is that we increasingly become more able to answer these fundamental questions for ourselves from a quality of consciousness that embraces not only thought, but our bodies, feelings and intuition as well. Just because conceptual thought throws up it's hands and walks away without an easy answer, doesn't mean that answers don't exist. The most important ones just don't come packaged in words. As the mind becomes calmer and we see for ourselves what the Real Deal is, one's heart opens. With Practice, the Truth can be as simple as experiencing the next breath. 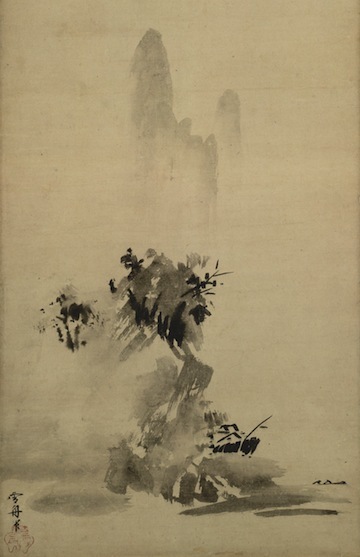 *The Gateless Gate is a classical collection of Zen koans compiled by Chinese Zen Master Wu-men in the 13th century. In some forms of Zen, koan study is a primary practice. Students have to demonstrate an understanding of what often appear as conundrums, ridicules and paradoxes. "What is the sound of one hand clapping?" is one of the most famous in the West.